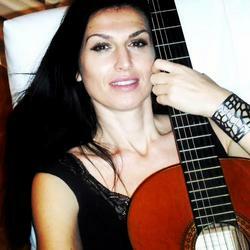 Anđela Jerkunica Milišić started to play guitar at the age of 7, and after finishing Music School in Split she graduated from the Music Academy in Zagreb, class of professor Ante Čagalj. She also attended classes with professor Goran Listeš and participated in numerous seminars held by famous guitar pedagogical experts from Croatia and foreign countries ( Zoran Dukic, Darko Petrinjak, Carlo Marchione and many others). In 2001. Angela won the prize for the most successful pedagogue awarded by the Croatian Association of Music and Dance Pedagogue. She is a jury member of different classical guitar competitions. Today she works as a professor in at Music School ''Josip Hatze'' in Split and her students have won various prestigious Croatian and international prizes. Some of them got degrees from music academies and today they are eminent artists and music teachers.